Over a million educators worldwide trust TeacherKit with managing their time and activities. TeacherKit helps you organize classes and students easily. Create a seating chart, record attendance, log behavior, and track grades all with few taps. TeacherKit lifts the headache of routine administration, allowing you to focus on what really matters to you – teaching. 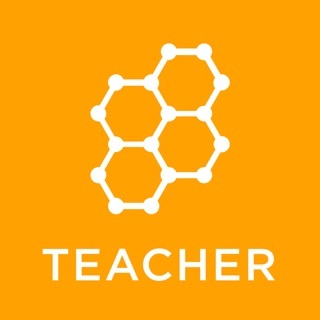 * PCMAG "Back to School: The top Apps for teachers"
TeacherKit is free to download and use. TeacherKit Premium upgrades the experience with reporting and lots of amazing features to help you work even smarter. Subscriptions will be charged to your credit card through your iTunes account. Your subscription will automatically renew unless canceled at least 24 hours before the end of the current period. You will not be able to cancel a subscription during the active period. You can manage your subscriptions in the Account Settings after purchase. Thank you for using TeacherKit! To make our app better for you, we bring updates to the App Store regularly. I'm a 15-year teacher, and I've used a fair handful of grading and classroom organization programs. While this is one of the better mobile apps, it is fairly simple, but has a few bugs. For example, it crashes often when I try to put in a new assignment to grade, and it seems odd to me that I can't put the same assignment into two classes of students. When I do this, it says "this assignment already exists in another class," and deletes my entry. Also, I'd like to be able to transfer one student from one class to another. To do this, apparently we have to transfer all grades and information by hand to the new class, and delete the student from the original class. It seems obvious to me that transferring a student with all info between classes should be a common thing for an app like this. Lastly, moving students' seating arrangements is finicky. At times, the automatic "snap to grid" feature of aligning students in rows/columns will actually prevent a student from being seated where you want to drag their icon, making arranging them frustrating. I'd just as soon remove the alignment feature and let the user eyeball it. A seating chart doesn't need to be a perfect grid! I got tired of the questionable auto-renewal subscription system where I was certain I had unsubscribed (I don't need the app during winter and summer break) but then found myself getting billedv anyway. It was a useful app, but the somewhat predatory nature of their subscription model turned me off. I have since been using a teaching app that is more versatile (if slightly less user friendly) and only requires a one-time payment. I likely can't name competitors, but just do a search for the most popular teaching apps and look for a well reviewed one that doesn't use a subscription model. I only use it for attendance. As a college professor, I feel that I need to learn the names of my students and be able to identify who is who. This app has done that but in order to see the actual attendance dates for each student, I have to pay for the full version. The only reason this is necessary for me is that if a student fails, I have to submit a last date of attendance to the registrar’s office. Paying $40 a year just for one feature is a little much. I wish I could find a program that just does attendance.